Cashmere is love at first touch. You will feel its delicate softness, smoothness, and warmness - you will also find out soon enough that what you have in your hands is something extraordinary. Cashmere has been considered an exceptional material for centuries, having been called the "fibre for kings." Nowadays, you don't have to be a king to enjoy the luxury of cashmere. Clothing made of this special material is not the cheapest, especially if it is handmade from the best fibres. Only a limited amount is gathered each year. This is the reason for its high price. A cashmere sweater is nevertheless a long-term investment. If well cared for, cashmere clothing retains its qualities for many years without fading or stretching, making it a possible inheritance for the next generation. 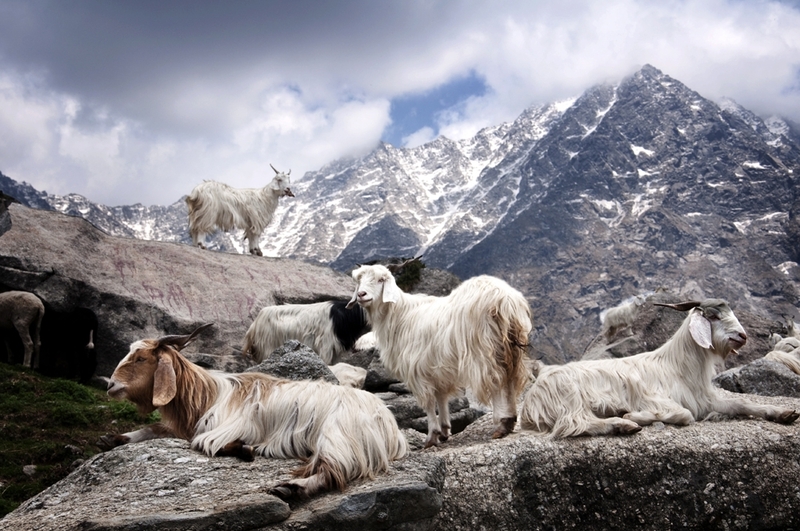 We are a small family firm that started delivering cashmere clothing from Nepal in 2011. The production plant we work with is located in the vicinity of Kathmandu. We launched our first online stores in Slovakia and the Czech Republic in 2011, and today we ship to dozens of countries. The quality and uniqueness of our products is the reason why customers from across the globe - for example, South America, Asia, and the Middle East - order our products. Over time, our store gained products from other premium natural materials. Our products cannot be purchased at brick and mortar stores, as we only function as an online store. We ship from our Slovak warehouse, and deliver with package delivery services or postal mail within Europe. Please contact us for information about shipping time to countries outside of Europe. You will find several major differences between us and other cashmere vendors. One of them is the size of our product line-up. We update it regularly, and you can always find more than 200 different models of men's and women's sweaters. Almost every single one is available in sizes from XS to XXXXL, and you can choose from dozens of different colours. We release a new collection every fall and we can also arrange custom fit production. Please email us if you are interested. Another important distinction is quality. Our product range is handmade from cashmere fibres, whose median diameter thickness does not exceed 0.0155 mm. Many producers try to minimize production costs by manufacturing in China and by using thicker, cheaper fibres. However, the resulting product is prickly and lacks quality. Be aware, because even products marked "100% cashmere" are not guaranteed to possess any level of quality. We recommend that you avoid suspiciously good deals or shopping at big retail chains. We guarantee the quality of our products and a secure shopping experience. You can return our products without a reason and we will give you your money back, or swap it for a different item from our product range. We also offer superior service to our customers. For example, if you accidentally damage your sweater, we can arrange for it to be fixed. If you have any questions or inquiries, please do not hesitate to contact us.